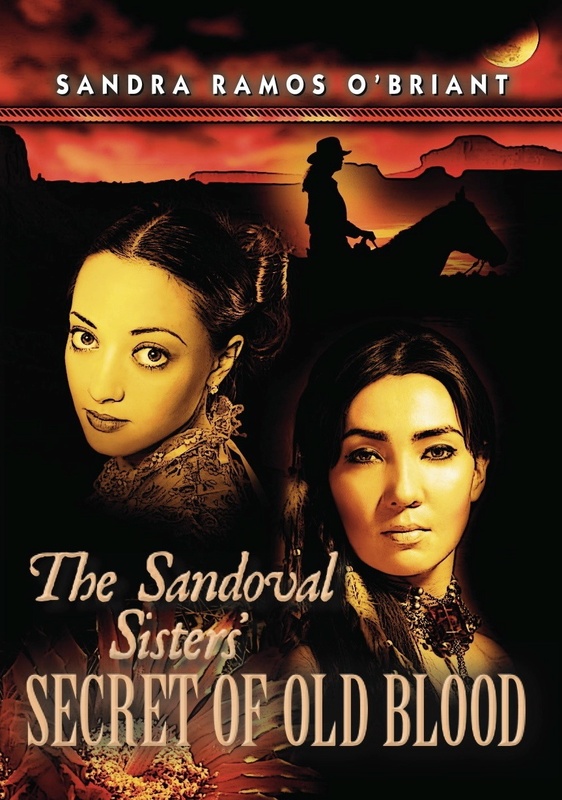 Sandra Ramos O’Briant is proud to announce the release of her first novel, The Sandoval Sisters’ Secret of Old Blood. 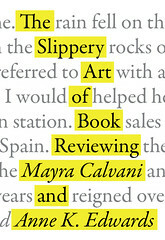 She’s the author of the short stories, “Death & Taxes and…Worms” in Hit List: The Best of Latino Mystery (Arte Publico, 2009), “Lana Turner Slept Here” in Latinos in Lotusland (Bilingual Press, 2008) and “Chile Tales” inWhat Wildness is This (University of Texas Press, 2007). She was generous to take time out of her busy schedule to answer some of my questions. Please give her a warm welcome! When Alma flees with her young lover to Texas to escape an arranged marriage with a much older man, she sets in motion a drama that will put the sisters and their legacy at risk. Pilar, a 14-year-old tomboy, is offered as a replacement bride, and what follows is a sensuous courtship and marriage clouded by the curses of her husband’s former lover, Consuelo. She will stop at nothing, even the use of black magic, in her effort to destroy the Sandoval family. The Mexican-American war begins and the Americans invade Santa Fe. The sisters survive the hostilities from two important fronts-New Mexico and Texas. Their money and ancient knowledge offer some protection, but their lives are changed forever. It’s a pleasure having you on The Dark Phantom Review, Sandra! Why don’t you start by telling us a bit about your latest book, and what inspired you to write it? I grew up in Santa Fe, New Mexico, an area steeped in history, but I’m not aware of much fiction written about the New Mexican women of the 19th century. There are references to the “first white woman” in Santa Fe, and most of the other period pieces (nonfiction written by men) barely mention women, or are unflattering when they do. My goal was to tell a story about women who interested me, women who bravely dealt with whatever life dished out to them. The issues confronted by the Sandoval sisters are contemporary: racism, sexual intolerance, the power of superstition, dealing with mother-in-laws. The story also has a fair bit of romantic eroticism which the centuries-old Sandoval diaries dealt with candidly. The Sandoval sisters were encouraged to read the diaries and learn their secrets. My research didn’t yield much information on rebellious Latinas of yore. They obeyed their fathers, brothers, husbands, and priests, so I wrote the Sandoval sisters–not exactly as firebrands–but as women who make a change toward owning their power, each in their own way, and all while living on a rough frontier at the juncture of three cultures. When I tell people I’m from Santa Fe, their eyes light up; they’ve either visited the Land of Enchantment, or it’s on their bucket list. Growing up there, tourists were a mixed bag. The woman running through the plaza shouting that “real Indians” sat on blankets outside the historic Governor’s Palace (now a museum) was an idiot in my opinion. I played tag in the plaza near the End of the Santa Fe trail marker, and listened to viejas sitting on the park benches. They complained about all the gringos taking over the tiendas, and how expensive everything was, and that la raza should do something about it. They also told stories of the devil and witches and unholy events in the night. Initially, my research was to gain a better understanding of my New Mexican ancestry (Sandoval and Gallegos), but also to find the root of Northern New Mexican identity. I wanted to know why they insisted on calling themselves Spanish, and why they seemed to resent Texans, in particular. Merchants have always loved the Santa Fe trail. The Mexican-American War was fought to gain more land, but it was also about controlling trade, and that meant controlling Santa Fe: it was the first foreign capital captured by the U.S. An unbelievable influx of men occurred, but nary a word has been written about how that affected the New Mexican women. Until now. The story started as stream-of-consciousness, but I very quickly needed an outline. I wanted to tell the story I had heard from childhood, about the two Anglo children whose parents died in a wagon train on the trail to Santa Fe. The spinterish Sandoval sisters adopted them. 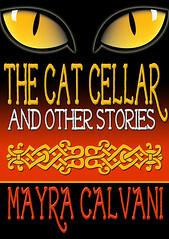 Very quickly the Sandoval sisters took over my dreams, and their adopted heirs told me about the Sisters’ influence on them in flashbacks, about what it meant to grow up with the Sandoval witches. I sent the story off to an agent. She said that I had the makings of two, possibly three, books in my manuscript. She wanted to know more about the Sandoval sisters, too. I rewrote the story and brought the past (the flashbacks) into the present. The next generation doesn’t appear yet, but the groundwork is set for everything with which they will have to contend in the future. Twelve years including a zillion rewrites, and lots of research. Not only did I read U.S. expansionist history–how the West was won (conquered)–but I did archival research on first person diaries and letters. I switched off from writing the novel to experimenting with short stories, many of which have been published. Go here for a complete list and links. For me, the switch between long and short form was like looking at certain art out of the corner of your eye. Images you didn’t see sometimes come to the fore. Also, short stories are hard-bodied, tight. In a novel, you can stretch. Daydreaming. In my youth, daydreaming nurtured me, provided a safe haven. I’d sleep for twelve hours and even when awake escape to the safe place in my mind. Of course, I was a terrible student. Still, I managed to get into college, but my daydreaming threatened to sabotage me. I used behavior modification to break the cycle. I started by setting an arbitrary time limit on studying: for every 15 minutes of study, I’d allow myself an hour of daydreaming. I set the alarm. My roommates thought I was weird. I was. Gradually I increased the studying time while reducing the daydreaming. My GPA went up. I got into grad school. I rarely daydreamed. In the business world, I did fairly well, but wasn’t happy. A bout of sciatica put me flat on my back. All I could do was read, listen to my mother’s stories about the Sandovals, and daydream: a return to self. My writing career had begun. Exercise also helps. While focusing on my body and trying not to hurt myself, my mind goes to new and unexpected places. I’ve always read broadly: literary fiction, scifi, fantasy, chicklit, historical, dystopian, nonfiction, memoir. I’ve even read Westerns. I prefer female protagonists. In the historical genre, I cut a swath through kings and queens, and pretty much like more exotic locations now. I’m a great admirer of Castañeda, Sandra Cisneros, Margaret Atwood, Antonia Fraser, Olivas, Jill Smolinski. Anne Rice and Isabel Allende were huge influences. Go to my Goodreads page for a list of books I’ve read and a giveaway of the Sandoval Sisters. 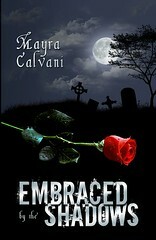 My next book will be a vampire story. It’s almost complete and I’m switching off between it, the next in the Sandoval sisters series, and short stories. Thank you, Sandra! Best of luck with your book!